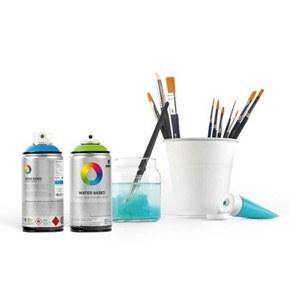 MTN Water Based Marker - RV105 Azo Orange Light is a high pigment water-based paint marker with a 15mm nib. The versatile paint formula is perfect for graffiti, street art, or fine art and applications and is available in 15 high coverage colors. Montana Colors Water-Based Paint Marker RV105 Azo Orange Light is a bright light orange hue with a flat or matte finish.